…Do I pay first and then order? Or, do I order, go back to the cashier, pay and then give my receipt to the barista? If I order first and want to sit down at a table, do I wait for my coffee at the counter and then carry it there myself or order and then expect the barista to bring it to me and pay on my way out? 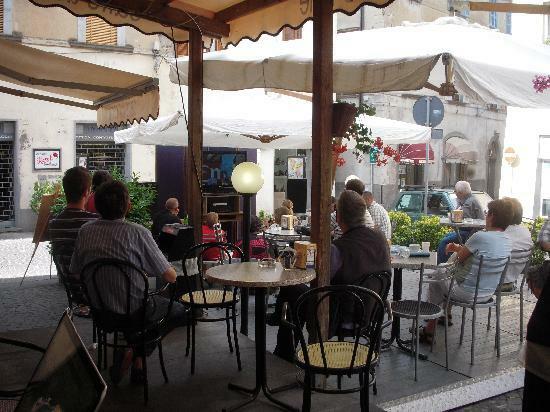 The Italian Coffee Bar: an institution, a meeting place, a culture unto itself and a complete enigma! As far as I can tell, there are no hard and fast rules – kind of like irregular Italian verbs – you can’t always get an explanation of when to apply them. It’s intuitive – a subtle sense that develops over time and with a lot of “trial and error”. In my case, mostly “error”. Why on earth can’t I figure this out? I mean, I am reasonably intelligent – I went to college for God’s sake! I can certainly manage to order a coffee in Italy. How hard can it be? Well… apparently pretty hard. 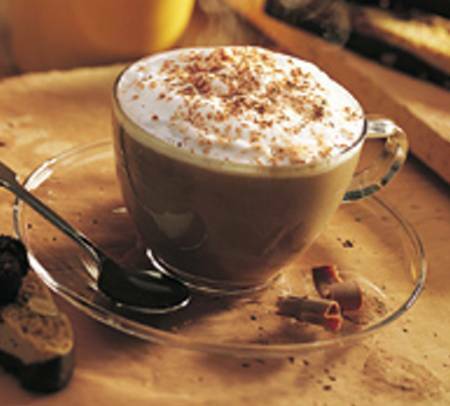 Here is a short list of coffee drinks you can order at a neighborhood Italian bar: Caffe’ (espresso), Caffe’ Americano (watered-down espresso in a large cup), Cappuccino (espresso with steam milk on top), Caffe’ Corretto (espresso with a shot of liquor), Caffe’ Freddo (espresso cold), Hag (decaf espresso), Caffe’ Latte (half espresso, half steamed milk), Caffe’ Lungo (espresso made with more hot water), Macchiato (espresso with a dollop of cream – hot or cold), Caffe’ Ristretto (stronger espresso), Shakerato (espresso, milk, sugar, and ice, shaken), Caffe D’Orzo (espresso made with barley), and Cioccolata Calda (hot chocolate)…just to name a few. See, easy. Until I am fully versed in coffee protocol, I have found a way to cope with my incompetency and the stress that comes with it: I limit myself to a couple of bars in town that I am familiar and comfortable with. At Caffe’ Del Corso and Blue Bar in Orvieto, I know the owners, they know me and their system is clear (and they give me the locals’ price). Honestly, I can’t bear to see one more barista’s look of disgust when I break the cardinal rule of Italian coffee-taking; ordering a cappuccino after 11:00 a.m! At restaurants, I used to pretend that I actually wanted an espresso after dinner because I knew the waiter would glare at me and judge me if I asked for anything more than a macchiato (espresso with a dollop of cream). 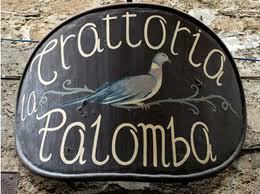 In the case of Giampiero, owner of La Palomba, every time I order a cappuccino after dinner, he gives me a hard time. We have long discussions (arguments really) about why I shouldn’t have milk late at night. (Italians believe its not good for digestion). When I ask an Italian why it’s okay to eat Panna Cotta or Tiramisu after a meal (both made with heavy cream), but not drink coffee with milk, I never get a straight answer. As far as I can tell the explanation is “you just don’t, punto! And with Giampiero, it has become a running joke, a comedy routine like “Who’s on First”. I eventually get what I want, but I have to practically beg him. Then he just shrugs his shoulders, smiles and a cappuccino arrives at my table. But you know, it’s worth all the pain and suffering because, in the end, I get to drink coffee as smooth and delicious as any in the world. 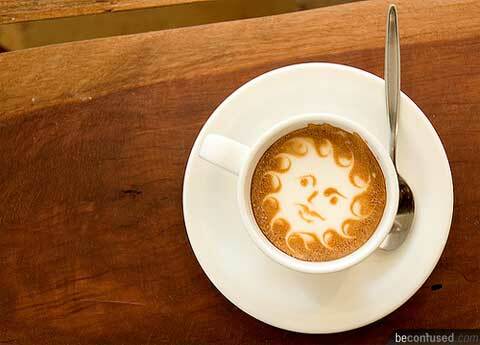 Italians love their coffee and so do I! Brothers Mirko and Cristian Galanello will offer you coffee, cocktails and soccer matches at Caffe’ del Corso, Corso Cavour 158, 05018 Orvieto, 0763 344724; Anthony and Romina make you feel very welcomed whether you are a local or a tourist at Blue Bar, Via Garibaldi, 23, 05018 Orvieto, 0763 344150; Dine on classic Umbrian cuisine and wine at La Palomba, Via Cipriano Menente, 16, 05018 Orvieto, 0763 343395. 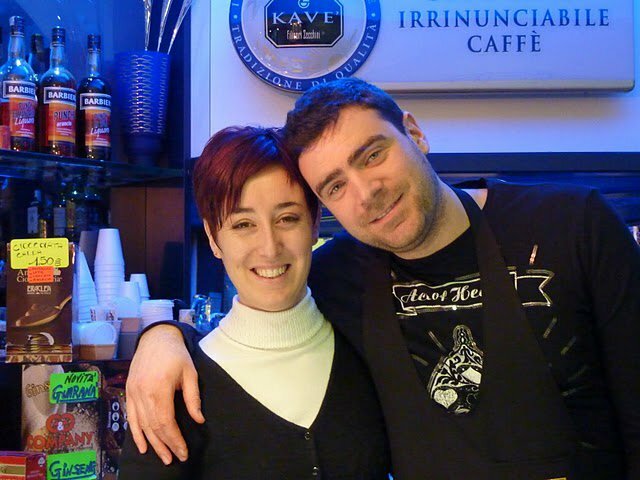 Tell owner Giampiero that “Silvia” sent you (an inside joke between us) and after a wonderful meal, order un caffe’!